There were quite a lot of Giant Siamese Carp introduced when I first began to develop the lake, back in 2006. They were all in the 8 to 12 kg range. An awful lot of smaller fish have been stocked since then, along with a few larger fish of around 20 kg that were sourced locally. 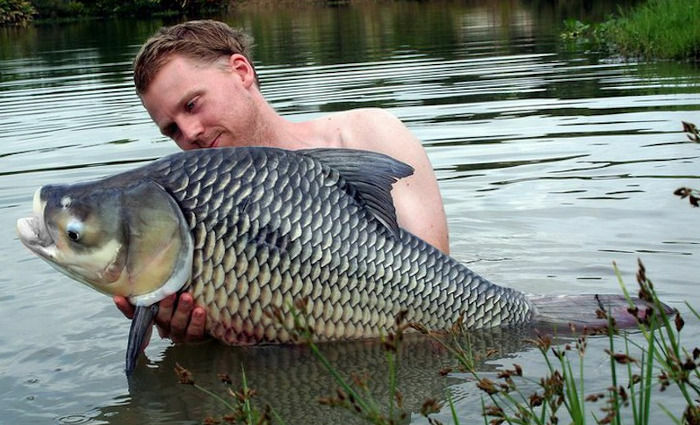 It’s difficult to say how many Siamese Giant Carp are currently in the lake, but there are a lot. The largest fish are now around the 30 kg mark.